This page shows the latest hypertriglyceridaemia news and features for those working in and with pharma, biotech and healthcare. 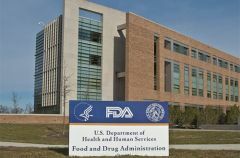 The FDA approval covers its use as an adjunct to diet to reduce triglyceride levels in adults with severe hypertriglyceridaemia. ... According to AZ, nearly four million adults in the US currently have severe hypertriglyceridaemia.